The VQ Christie is a DAB/DAB+/FM radio which also packs Bluetooth functionality. Available in more than a dozen colours the most intriguing part of the design is the rotating screen. This allows the radio to be used in portrait or landscape, helping it fit in with its surroundings. 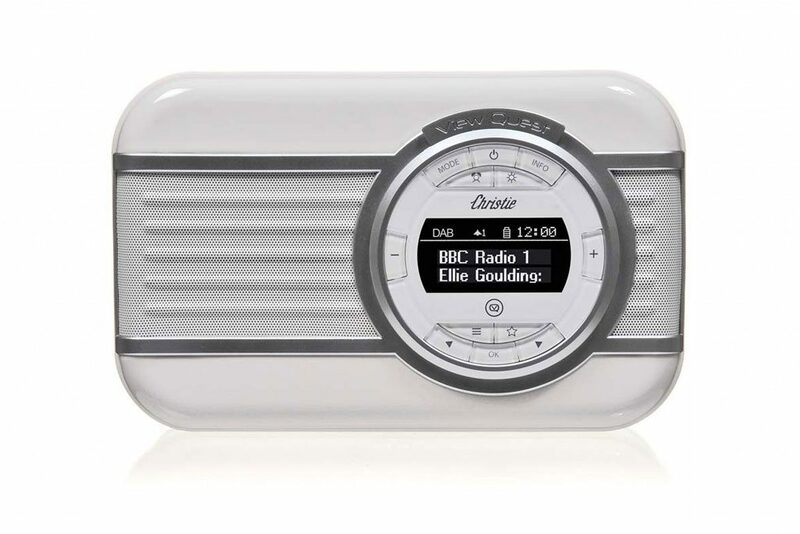 According to VQ the Christie is the first consumer audio product to be “designed with premium enamel”. Surrounding the enamel fascia is leatherette, available in colours from cream to hot pink. The rotating LCD display and control panel means it can be used in portrait or landscape modes. There are now a few digital radios which eschew the traditional portable radio layout, but the VQ Christie is unique in enabling both without affecting usability. Behind the retro design the Christie is packing some up-to-date technology. The DAB, DAB+ and FM tuner means it’s future ready – and as with most portable digital radios it doesn’t support Mediumwave. If you do listen to any MW stations you can make the most of the 10W audio output power with Bluetooth. Using a smartphone app like Radioplayer or TuneIn you can stream your favourite station via the Christie. Bluetooth also means you can listen to podcasts, Spotify, Plex and other audio from your smartphone or tablet. NFC is even built in, but not all smartphones support this technology. A traditional 3.5mm aux-in port is provided, as is a USB charging port. This is useful and avoids needing too many power sockets at once – especially if you are using Bluetooth a lot to stream music! A normal headphone output is also provided. Dual alarms can be set – ideal for different times on weekdays and weekends. VQ is the new name for View Quest, who have been making DAB digital radios for several years. Most of VQ’s models sport a retro style which is a pleasant departure from the black and silver portable radios which have always been on offer. Verdict: The VQ Christie is the only digital radio we've seen with a rotating screen and is available in many colours. The Bluetooth functionality, audio output and battery option accompany the unique design. What is DAB+ and is it different to DAB? Can I get digital radio on a smartphone?